We are committed to a world where everyone has the knowledge and ability to contribute to peace within themselves and with others, and where this wisdom is passed on from generation to generation. Validating, and Empathizing – all action." ​"​ [My kids] told me it's okay to speak your fe​elings. 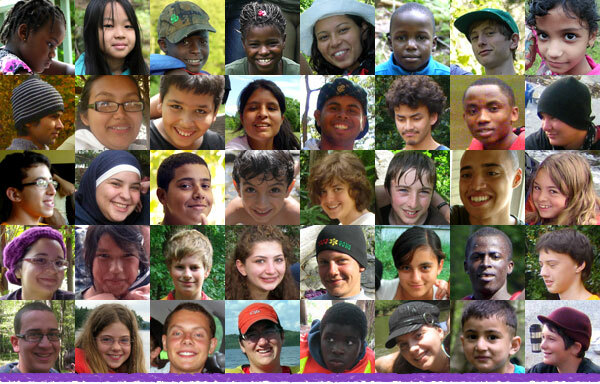 ​How to respect others, how to listen, how to offer help – all of these ​ideas my kids developed through the camp." It taught me that authenticity is valued​.​"
​"​ ​Those practices really ended up being one of the backbones of the kind of culture that we tried to build​... where we could see that it was our relationships on our team that was actually the source of our power." Up to ​​80% of the participants in our programs each year​ are wholly or partially sponsored ​​by people like you. Without ​that support, we literally could not do what we do.